I was surprised very much with this. I thought that it is a phishing email but I see the sender and I logged in to my account and found this message. Oh! it's real! I don't know what's happen at Facebook. (wait for news) but it made the image of facebook look bad. The very big website lost their member data. How about backup system? There is no backup for the data? After I googled about this issue, many bloggers have commented about this too. Really I love facebook more than other social networking websites. I wait for the news to know what happen to the Facebook now? Time conflicts in Dual-boot, UTC or Local time in BIOS? I'm surprised that I've used dual-boot many times but I've just found this problem. There is a problem about time between Windows and others such as Debian. Windows uses time in BIOS as local time. So the problem shows out. I'm in Thailand so my timezone is +7. If UTC time is 10:00, I boot to Debian then the time in BIOS should be 10:00 and Debian shows 17:00 as a time. Then I switch to windows , it shows the time 10:00 as my time. The time is in the past. I adjust to the right time 17:00 and windows sets it in BIOS too. If I switched to Debian again, it will show the time is 00:00 (17:00+7 hours). That's it. The root of the problem is each OS treat time in BIOS in different ways. So the question is "Which time should be in BIOS? UTC or local time?" UTC - more standards and every systems can treat it in their way. It makes sense. Local time - After I googled , why windows does it like that, there are reasons. First is backward compatibility. The former windows system such as MS-DOS or Windows 3.1 do this way so they have to do the same way to remain compatibilites and can dual-boot between Windows' family. Last is to avoid confusing on BIOS time itself. If you're in the BIOS setting and you've to set the BIOS time. Which time will you set? your local time or UTC. It makes sense that you will set it by local time. If BIOS asks you UTC time, it's a bit strange. You need to do only one of these. and set its value to 1. 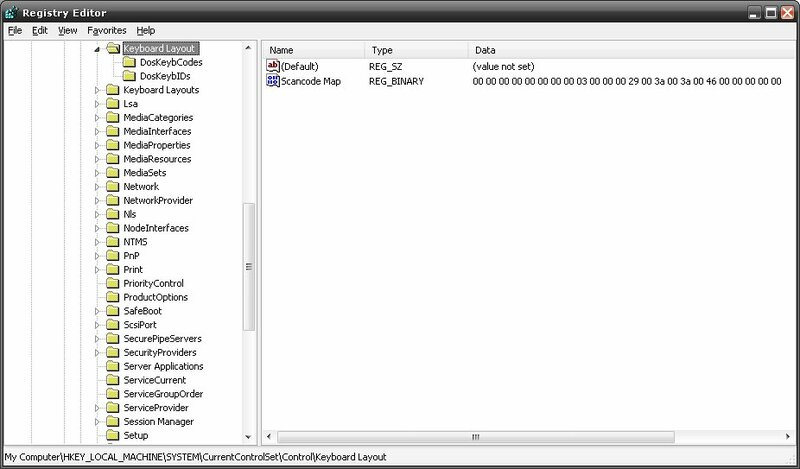 Uncheck the "Automatically synchronize with an Internet time server" in Date and Time Properties. *I don't recommend this way because I found many people told about few following problems. but I still don't know why I didn't found this problem when I was dual-booting Ubuntu and Windows. OR Didn't I notice this problem? I'm newbies to Gumstix and OpenEmbedded platform so I try to emulate it for working easier and more safety with my experiments. 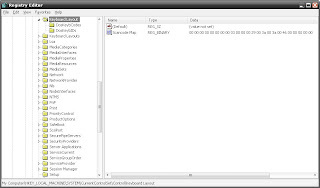 From this and this tutorial , those're for verdex , you can change a bit for you connex easily. First you have to install qemu (version 0.9.1 or later) to you system. I'm using Debian so do this way. This is the boot loader for you gumstix. You can build your own from source or get the pre-built file from the gumstix webstie here. It's the kernel for your system. It's usually start with 'uImage'. Of course you can build your own via this tutorial or pick the right pre-built image from gumstix website here. About the difference between glibc and uclibc you can googling to find out yourself. It's the files for your gumstix including many packages installed. You can built it your own from the same tutorial above or pick it here. Now you can create the qemu image by this way. The italic have to be changed according to your files. The bold are those difference from the reference tutorial. Because of memory, the verdex has 32 MB flash memory but the connex has only 16MB. So 256*128k changes to 128*128k. The kernel is on the end of the memory (Size -1MB) so (256-8)*128k changes to (128-8)*128k. Now there will be a "flash.img". This is your qemu image file. And see it booted. But my problem now is I can't exit the qemu. -_-" Ctrl+A x doesn't work. I think buildroot platfrom can do this method too. Because it builds to the 3 files as above and then use the same method to emulate it. How to make BCM4318 (with Acer wireless button) works in Debian! My laptop model is Acer 5021. I have a problem with the wireless , in particular the acer wireless button that's in front of the body can't lid up to enable the wireless just like in Windows. In the past I got it work by installing ndiswrapper and acerhk. But after the Edgy came out , it haven't worked anymore. [ 59.267579] b43-phy0 ERROR: Firmware file "b43/ucode5.fw" not found or load failed. [ 59.267588] b43-phy0 ERROR: You must go to http://linuxwireless.org/en/users/Drivers/b43#devicefirmware and download the correct firmware (version 4). Now I reboot and the error message disappeared. But I still can't use the wireless because of the Acer wireless button. I googling more , go to acerhk website. And found that acerhk is stopped and got into the main kernel development (names acer_acpi) that's the good news. and now acer_acpi is moved to acer_wmi. I wonder this method also works with the other Acer models which have the problem with the wireless button in front of it. How to Fix Firefox always keeps showing "Restore Previous Session". Today, my ubuntu crashed while I was using firefox. I rebooted and everything seem fine except one thing. Firefox show "Restore Previous Session" dialog everytime I open firefox. Even though I've shut it down properly , the dialog keeps showing. Just simple. I guess that sessionstore.js saves the data about session (its filename tells that. HAHA) and firefox on opening will see whether this file exists or not. at last, the solution is right down. I hope that these soulutions will work for you. Since birth, I've used Grave Accent(`) for switching input language. in unix command. I found it's not quite convenient but have to used it. 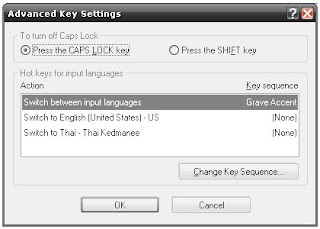 Then I found that , in ubuntu, I can set to using the caps lock key as a hotkey to switch input language. The caps lock key was useless for me long time ago. So I changed it and found that it' so easy to use and happy about moving finger. So I'm going to set caps lock as a hotkey in Windows too. But the Windows don't allow me to do that. I spent a few hours (yes, a few hours) to find the way but rarely found. 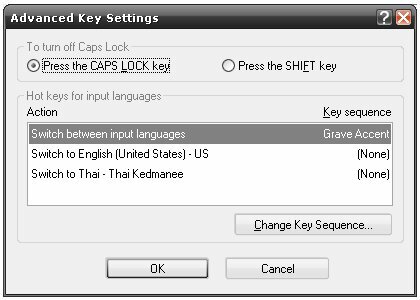 I found the closest way is to change the caps lock to grave accent key. Below is how to do that. 1. Open regedit (via Run-> type regedit -> Ok). 3. Add new key name "Scancode Map" as binary value type. 4. Double click this key and Fill the value. "00 00 00 00 00 00 00 00 02 00 00 00 29 00 3a 00 00 00 00 00"
"00 00 00 00 00 00 00 00 03 00 00 00 29 00 3a 00 3a 00 46 00 00 00 00 00"
Today is Valentine's day. It's not special to me really. I visit google.com as normal. The google's logo on valentines day is so cute. It's makes me smile and I think people around the world that see this picture smile too. Today's morning, I found that my acer aspire 5021 can't use the wifi. The wireless button in front of the case didn't work as normal. Regularly when press the wireless button, the button turns orange and the green 'Wireless Device Enabled" appears on screen. But now nothing happened. I'm very upset with this. I tried to press the button many times or restart the Windows but it didn't work. I wondered that the root of problem is software related to driver but I had installed Broadcom drivers and Launch manager and it used to work as well. I tried to reinstall Broadcom driver and Launch manager. It didn't work. I think of last night. I installed Microsoft Office 2007 before go to bed. It' seem no involvement between Office 2007 and wireless. But I don't know what to do , so I give it a try. I uninstall the Office 2007 and It's work!!! It's weird and I don't know why. I may find the reason about this if I have times.